Dr Bob Doneley graduated from the University of Queensland in 1982 and worked in veterinary practices in Bundaberg, Brisbane, Toowoomba and the UK before opening his own practice, the West Toowoomba Veterinary Surgery, in Toowoomba in 1988. 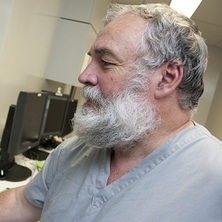 In 2010 he sold his practice after 22 years to take up the position of Head of Small Animal Services, Veterinary Medical Centre at the University of Queensland’s Gatton campus. He is now an Associate Professor and Head of the Avian and Exotic Pet Service, a specialist bird practice, as well as treating reptiles, small mammals and wildlife. In 2015 he was awarded the Meritorious Service Award by the Australian and New Zealand College of Veterinary Scientists. He lectures to both University of Queensland and James Cook University veterinary students on bird and exotic animal medicine, has published two textbooks on bird medicine (one of which has been translated into German and is about to be re-published as a second edition), written chapters for five other textbooks and has published numerous papers in veterinary journals. Doneley, Bob Avian medicine and surgery in practice: companion and aviary birds 2nd ed. London, United Kingdom: CRC Press, 2016. Doneley, Bob Avian medicine and surgery in practice : companion and aviary birds. London, United Kingdom: Manson Publishing, 2010. Bob Doneley (2018). Reproduction. In Chitty, John and Monks, Deborah (Ed. ), BSAVA Manual of Avian Practice A Foundation Manual (pp. 54-67) Gloucs, United Kingdom: British Small Animal Veterinary Association. Aguilar, Robert F., Rodriguez Barbon, Alberto, Beaufrere, Hugues, Bennett, R. Avery, Beynon, Alan, Brandao, Joao, Campbell, Terry W., Degernes, Laurel, Dislich, Mathias, Divers, Stephen and Doneley, Bob (2017). Questions. In Neil A. Forbes and David Sanchez-Migallon Guzman (Ed. ), Avian medicine and surgery: self-assessment color review 2nd ed. () Boca Raton, FL, United States: CRC Press. Speer, Brian L., Olsen, Geoffrey P., Doneley, Robert, Monks, Deborah, Verstappen, Frank, Yarto-Jaramilla, Enrique, Elliott, Dorianne, Weston, Maggie, Rivero, Jorge and McDonald, Anne (2016). Common conditions of commonly held companion birds in multiple parts of the world. In Brian L. Speer (Ed. ), Current therapy in avian medicine and surgery (pp. 777-781) St Louis, Missouri USA: Elsevier. Doneley, Robert (2016). The Clinical Examination. In Jaime Samour (Ed. ), Avian Medicine 3rd ed. (pp. 49-72) St Louis, Missouri, United States: Elsevier. Doneley, Robert J. (2012). Birds. In Jaime Samour (Ed. ), Exotic animal medicine: review and test (pp. 109-247) Edinburgh, UK: Elsevier Publications. Doneley, Bob (2008). Pigeons: Respiratory disease. In John Chitty and Michael Lierz (Ed. ), BSAVA manual of raptors, pigeons and passerine birds 2nd ed. (pp. 320-327) Quedgeley, U. K.: British Small Animal Veterinary Association. Doneley, Bob, Harrison, Greg J. and Lightfoot, Teresa L. (2006). Maximizing information from the physical examination. In Greg J. Harrison and Teresa L. Lightfoot (Ed. ), Clinical avian medicine volume 1 (pp. 153-212) Florida , U.S.A: Spix Publishing. Doneley, Bob (2006). Ratites. In Greg J. Harrison and Tersesa L. Lightfoot (Ed. ), Clinical avian medicine volume 2 (pp. 957-989) Florida, U.S.A: Spix Publishing. Hoffman, E. M., Garrett, K. and Doneley, R. J. T. (2017) Pneumocoelom causing cloacal prolapse in a perentie monitor (varanus giganteus). Australian Veterinary Practitioner, 47 4: 117-120. Garrett, K. and Doneley, R. T. (2017) Use of coelomic ultrasound in the diagnosis of pyometra in an ISA Brown hen (Gallus gallus domesticus). Australian Veterinary Practitioner, 47 2: 52-53. Doneley, Bob (2009) Wing clipping in birds. Australian Veterinary Practitioner, 39 3: 102-104. Doneley, Robert J. T. (2006) Preface. Veterinary Clinics of North America: Exotic Animal Practice, 9 3: xxiii-ix. Bob Doneley (2006) Endoscopy of the avian respiratory tract. NAVC Clinician's Brief, 4 7: 17-19. Doneley, Bob (2015). Considerations for Hernia Repair in Parrots. In: Annual Conference Proceedings: Combined conference scientific program. Association of Avian Veterinarians Australasian Committee Ltd. Annual Conference, Sydney, NSW Australia, (). 9-11 Septmeber 2015. Doneley, Bob (2014). Analgesia and anaesthesia in reptiles – a review. In: Proceedings of Australian Veterinary Association National Annual Conference 2014. Australian Veterinary Association National Annual Conference, Perth, WA, Australia, (). 25-30 May 2014. Doneley, Bob (2014). Avian radiology: taking and interpreting avian radiographs. In: 2014 AVA Annual Conference. Proceedings. AVA 2014: Australian Veterinary Association National Annual Conference 2014, Perth, WA, Australia, (H.1.6.1-H.1.6.7). 25-30 May 2014. Doneley, Bob (2014). The use of vascular access ports in birds and exotic animal medicine. In: Proceedings of the Australian College of Veterinary Scientists College Science Week 2014. Australian College of Veterinary Scientists College Science Week, Gold Coast, QLD Australia, (). 10-12 July 2014. Doneley, Bob (2014). Use of CT in assessing sinus disorders in birds. In: Proceedings of the Association of Avian Veterinarians Australian Committee Annual Conference 2014. Association of Avian Veterinarians Australian Committee Annual Conference, Cairns, QLD, Australia, (). 22-24 April 2014. Doneley, Bob and Buckle, Kelly (2012). Adenoviral infection in a collection of juvenile inland Bearded Dragons (Pogona vitticeps). In: Garry Cross and Robert Johnson, Annual Conference Proceedings: 2012 AVA. 2012 AVA Annual Conference: Australasian Committee Association of Avian Veterinarians and Unusual and Exotic Pet Veterinarians, Melbourme, VIC, Australia, (199-203). 3 - 7 September 2012. Cowan, Melinda and Doneley, Bob (2012). Exocrine pancreatic insufficiency in a sulphur-crested cockatoo (Cacatua galerita galerita). In: Garry Cross, Annual Conference Proceedings: 2012 AVA. 2012 AVA Annual Conference: Australasian Committee Association of Avian Veterinarians and Unusual and Exotic Pet Veterinarians, Melbourne, VIC, Australia, (95-102). 3 - 7 September 2012. Doneley, Bob (2012). Weight loss syndrome in juvenile free-living galahs (Eolophus roseicapillus). In: Garry Cross and Robert Johnson, Annual Conference Proceedings: 2012 AVA. 2012 AVA Annual Conference: Australasian Committee Association of Avian Veterinarians and Unusual and Exotic Pet Veterinarians, Melbourne, VIC, Australia, (9-11). 3 - 7 September 2012. Doneley, Bob (2011). A case of tracheal obstruction. In: Association of Avian Veterinarians Australian Committee Annual Conference, Canberra ACT, (1531-1531). 20-21 October 2011. Doneley, Bob and Rosenwax, Alex (2011). The exploratory coeliotomy. In: Garry Cross, Association of Avian Veterinarians Australian Committee Annual Conference proceedings. Association of Avian Veterinarians Australian Committee Annual Conference, Canberra, Australia, (17-24). 20-21 October 2011. Doneley, Bob (2010). Ten practice tips for avian and exotic pet veterinarians. In: Garry Cross, AAVAC/UEPV Annual Conference Hobart: 2010 Proceedings. AAVAC and UEPV Annual Conference, Hobart , Tasmania, (81-83). 4-8 October 2010. Doneley, Bob (2010). Why do birds get sick?. In: Garry Cross, AAVAC/UEPV Annual Conference Hobart: 2010 Proceedings. AAVAC and UEPV Annual Conference, Hobart, Australia, (133-139). 4-8 October 2010. Vankan, Dianne M., Gelis, Stacey, Pyne, Michael, Shearer, Patrick, Sharp, Margaret, Waine, Deanne and Doneley, Bob (2009). Clinical recovery and excretion kinetics of circovirus in lorikeets infected with psittacine beak and feather disease. In: Annual Conference Proceedings 2009: Association of Avian Veterinarians Australasian Committee. Association of Avian Veterinarians Australasian Committee: Annual Conference 2009. Advancing and Promoting Avian Medicine and Stewardship (AAVAC, 2009), Adelaide, SA, Australia, (53-56). 15-17 October 2009. Bob Doneley (2009). Lead toxicosis in birds; A retrospective review of 20 cases. In: AAVAC Annual Conference 2009 proceedings. AAVAC Annual Conference 2009, Adelaide, Australia, (85-92). 15-17 October 2009. Doneley, Bob (2009). The use of evidence based medicine in avian and reptile practice. In: Proceedings of the Australian Veterinary Association Annual Conferences, 2009 AVA Annual Conference. Australian Veterinary Association (AVA) Annual Conference, Darwin, N.T., Australia, (). 14-22 May 2009. Doneley, Bob (2006). A case of tracheal obstruction. In: Proceedings of the North American Veterinayr Conference. North American Veterinary Conference, Orlando , Florida, USA, (1531-1531). 7-11 January, 2006. Doneley, Bob (2006). An approach to diagnosing chlamydiosis. In: Proceedings of the North American Veterinary Conference 2006: Small Animal Edition. NAVC Conference 2006: North American Veterinary Conference, Orlando, FL, U.S.A., (1541-1542). 7-11 January 2006. Doneley, Bob (2006). Antibody serology: The good and the bad. In: Proceedings of the North American Veterinary Conference 2006: Small Animal Edition. NAVC Conference 2006: North American Veterinary Conference, Orlando, FL, U.S.A., (1532-1536). 7-11 January 2006. Bob Doneley (2006). Biochemistries: What they do and don't do. In: Proceedings of the North American Veterinary Conference. North American Veterinary Conference, Orlando , Florida, USA, (1537-1540). 7-11 January 2006. Bob Doneley (2006). Caring for the bearded dragon. In: Proceedings of the North American Veterinary Conference. North American Veterinary Conference, Orlando , Florida, USA, (1607-1611). 7-11 January 2006. Bob Doneley (2006). Pigeon medicine and surgery. In: Proceedings of the North American Veterinary Conference 2006. North American Veterinary Conference, Orlando , Florida, USA, (1525-1530). 7-11 Janaury 2006.